The Sisters of Charity of New York increase awareness of and advocate for the end of modern day slavery. In collaboration with many groups, especially NY-CRC-STOP, the Sisters of Charity of New York focus on changing legislation that will address the social, psychological and mental needs of trafficked persons, e.g., counseling, housing, education. NY-CRC-STOP A coalition of 36 women and men religious congregations in the greater New York area working to stop trafficking through education, advocacy and support of persons who are trafficked. Click to view PDF. 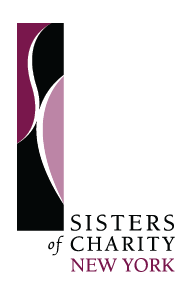 The Sisters of Charity of New York co-sponsor Stop Trafficking! Anti-Human Trafficking Newsletter. Click to view the monthly newsletter. The Sisters of Charity of New York are one of many religious congregations that help support a safe house for trafficked women through LifeWay Network. Click here to visit the website: LifeWay Network.